Dense Space: Il Mobile-beyond the dark, is a result of a collaboration of artists, architects and music composers. 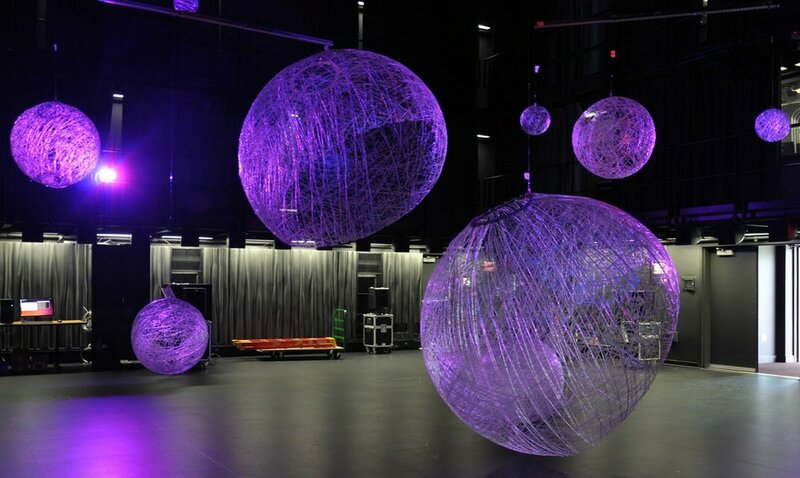 It explores the use of fiber material to produce varieties of netted sphere volumes which with motion, light projection and sound would manipulate the perception of physical space and its density. This audiovisual immersive environment, is created through a combination of physicality and casted shadows which blurs spatial boundaries and challenges spatial depth. 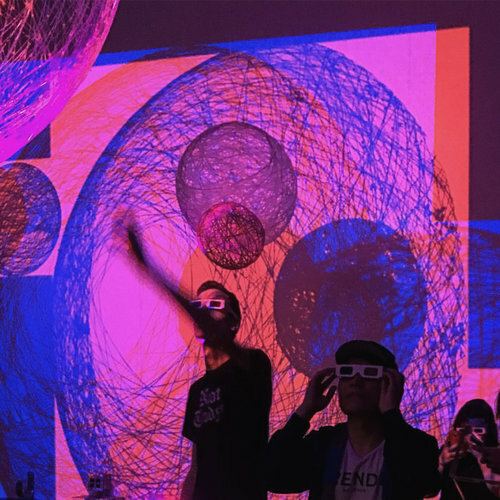 The audiovisual experience was exhibited at the ACCelerate Festival at the Smithsonian Museum of American History in October 2018. 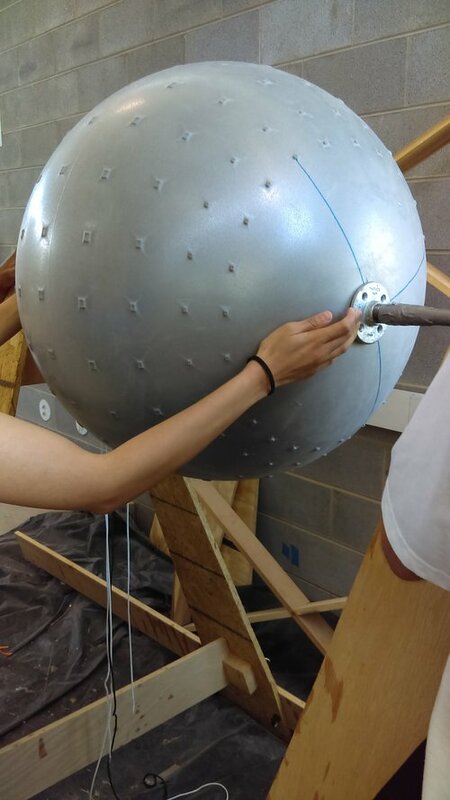 Part of this rich interdisciplinary project, I was able to learn through fabrication of the spheres and research on the impacts of light and objects on augmented spatial experience. Illuminated with paired red and blue light sources, the casted shadows are perceived as three dimensional when seen through 3D glasses. This visual combination of physical and virtual, creates an illusion that the shadows are additional floating spheres in the dimly lit space. 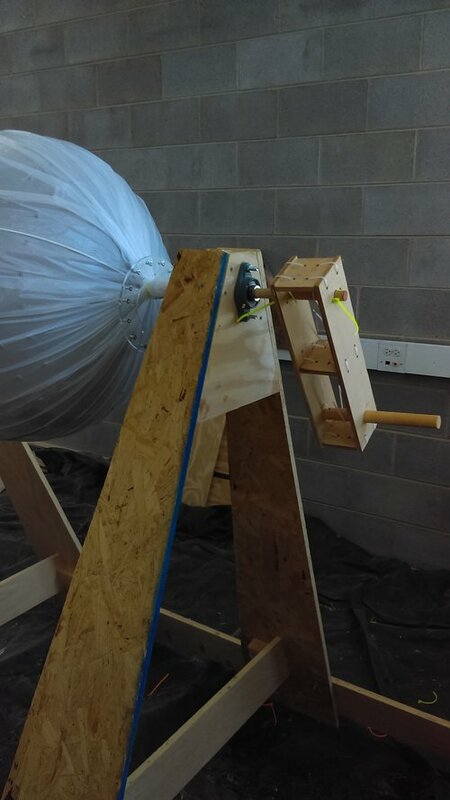 The space is visually manipulated and perceived denser than seen without the 3D glasses. The audiovisual experience was exhibited at the ACCelerate Festival in the Smithsonian Museum of American History in October 2018.